1: New Wave (6:55) Rating: 5 Lyrics by: Brian McNally Record date: 06/24/2018 DDD digital multitrack recording by Brian Cameron Copyright © 2018 The Sheep Fiends Foundation. 2: Mediocre Man (3:46) Rating: 5 Lyrics by: MX Skroch Record date: 02/19/2017 DDD digital multitrack recording by MX Skroch Copyright © 2017 The Sheep Fiends Foundation. 3: Close To The Opening (4:19) Rating: 4 Lyrics by: Sid Prise Record date: 01/21/2018 DDD digital multitrack recording by MX Skroch Copyright © 2018 The Sheep Fiends Foundation. 4: You Dropped From The Sky (13:17) Rating: 5 Lyrics by: Paul McLennon Record date: 04/09/2017 DDD digital multitrack recording by MX Skroch Copyright © 2017 The Sheep Fiends Foundation. 5: All Plastical (6:19) Rating: 5 Lyrics by: Mark Armantrout Record date: 04/22/2018 DDD digital multitrack recording by Brian Cameron Copyright © 2018 The Sheep Fiends Foundation. 6: Workin' At The Air Team (4:10) Rating: 5 Lyrics by: MX Skroch Record date: 04/22/2018 DDD digital multitrack recording by MX Skroch Copyright © 2018 The Sheep Fiends Foundation. 7: Ronnie James Dio (9:49) Rating: 5 Lyrics by: Paul McLennon Record date: 07/29/2018 DDD digital multitrack recording by Brian Cameron Copyright © 2018 The Sheep Fiends Foundation. 8: Executive Embryo (5:02) Rating: 5 Lyrics by: Mark Armantrout Record date: 04/22/2018 DDD digital multitrack recording by MX Skroch Copyright © 2018 The Sheep Fiends Foundation. 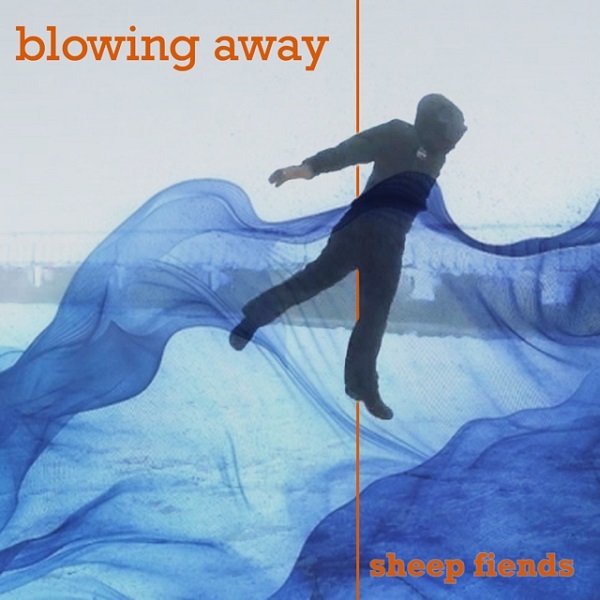 9: Blowing Away (6:33) Rating: 4 Record date: 12/06/2015 DDD digital multitrack recording by Brian Cameron Copyright © 2015 The Sheep Fiends Foundation. 10: Spaceman (4:35) Rating: 4 Lyrics by: MX Skroch Record date: 12/06/2015 DDD digital multitrack recording by Brian Cameron, MX Skroch Copyright © 2015 The Sheep Fiends Foundation. Note: Some keyboard was overdubbed. 11: Citizen Hurricane (10:27) Rating: 4 Lyrics by: Paul McLennon Record date: 10/15/2017 DDD digital multitrack recording by Brian Cameron Copyright © 2017 The Sheep Fiends Foundation. 12: It's The Wind (3:40) Rating: 4 Lyrics by: Mark Armantrout Record date: 04/09/2017 DDD digital multitrack recording by MX Skroch Copyright © 2017 The Sheep Fiends Foundation.